Death stalked the Vale. In every corner, every whisper. They just didn't know it yet. Six neighbours, six secrets, six reasons to want Olive Collins dead. In the exclusive gated community of Withered Vale, people's lives appear as perfect as their beautifully manicured lawns. Money, success, privilege - the residents have it all. Life is good. There's just one problem. Olive Collins' dead body has been rotting inside number four for the last three months. Her neighbours say they're shocked at the discovery but nobody thought to check on her when she vanished from sight. The police start to ask questions and the seemingly flawless facade begins to crack. 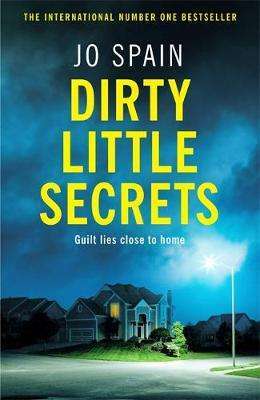 Because, when it comes to Olive's neighbours, it seems each of them has something to hide, something to lose and everything to gain from her death.